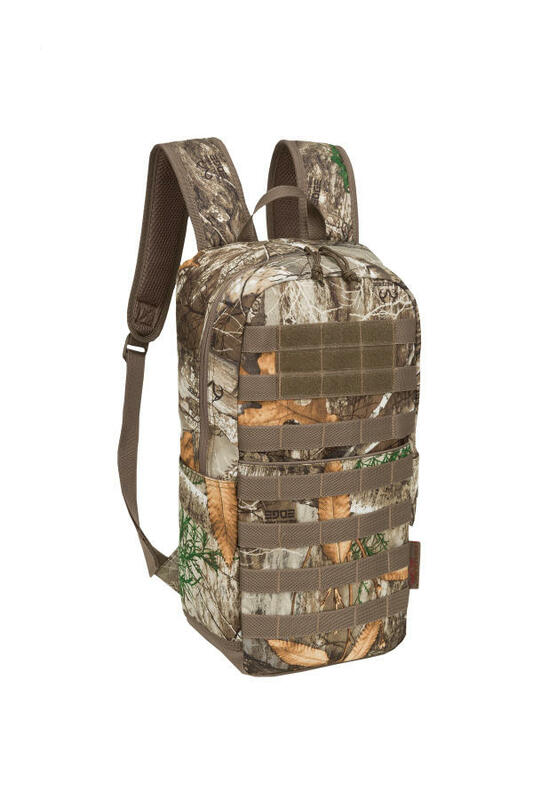 COLUMBUS, Georgia -- The Fieldline 12-Point Daypack in Realtree EDGE carries everying you need for your day's hunt, while keeping it easily accessible. The hydration-compatible main compartment with hose port fits Outdoor Products 2-liter and 3-liter hydration reservoirs or the Fieldline 3-liter hydration reservoir (reservoir not included sold separately). Zippered accessory pockets keep your items organized ad secure while molle webbing straps allow you to attach extra gear and accessories when needed. Padded adjustable shoulder straps ensure comfort during your hike to and from your setup.